Perfect for schools, parks and rec, and community centers. Pre marked net height for men's, women's, and jr. volleyball; badminton, pickleball, and tennis. 3" special alloy reduced flex on end standard. Worm winch allows precise net tension. 2" strap ensures no kinking or binding of net cable. Sliders can be moved up or down with net still attached. Standards are compatible with most manufacturers' floor plates. Black powder coat finish. Rubber bottom ensures protection of gym floor. 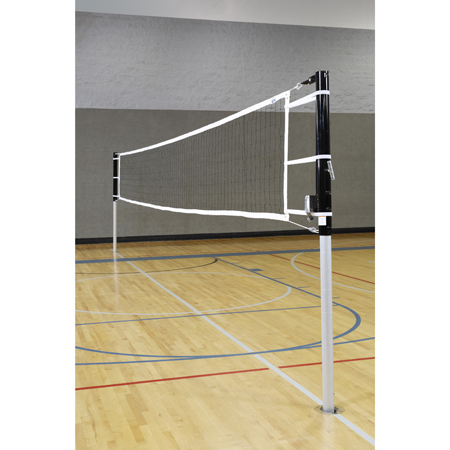 Complete system includes standards, padding, floor covers, sleeves, official volleyball net, net tension straps, and antennas. Referee stand and pad not included. 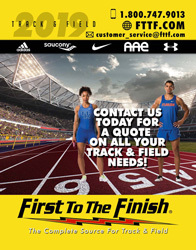 Call our Team Sales Specialist 8-5 cst M-f to recieve special pricing!